Study on the go with the new BackSpace Academy mobile site! Due to popular demand we are introducing two platforms for doing the BackSpace AWS Certification prep courses. The BackSpace Academy mobile site for IOS and Android. 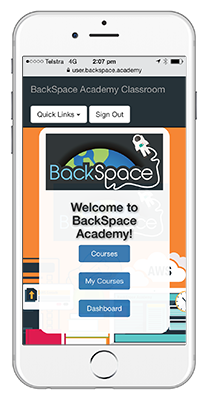 When you go to https://user.backspace.academy you will be automatically directed to the mobile site if you are using a mobile phone. Great for studying practice exams on the go!